Todays Mid Week Match-Up request comes from DT contributing writer PhiLOL who writes: Life is short, and I'm bored with my car. My budget is around $6,500. Mrs. PhiLOL has already given her blessing to a healthy NB Miata, which would surely meet my needs. That said, this price point is home to everything from LT1 Corvettes to Integra GSRs to 944s, and I wanted to make sure I wasn't overlooking something wonderful. Non-negotiable: four wheels, three pedals. Preferred: at least as safe as an NA Miata (so rickshaws are out of the question). Bonus: a back seat. Other considerations: Of the four cars I've owned, the most powerful had around 130 horsepower (not against having more, but it isn't required). Rust is my reality. Gas is cheap in Missouri. If you don't see a good example of a certain car near me (St. Louis), just post it as a suggestion anyway. I have a garage. Autocross looks like fun. I'm looking to buy in a few weeks, and I'll probably have the car for about two years. Is Miata always the answer? 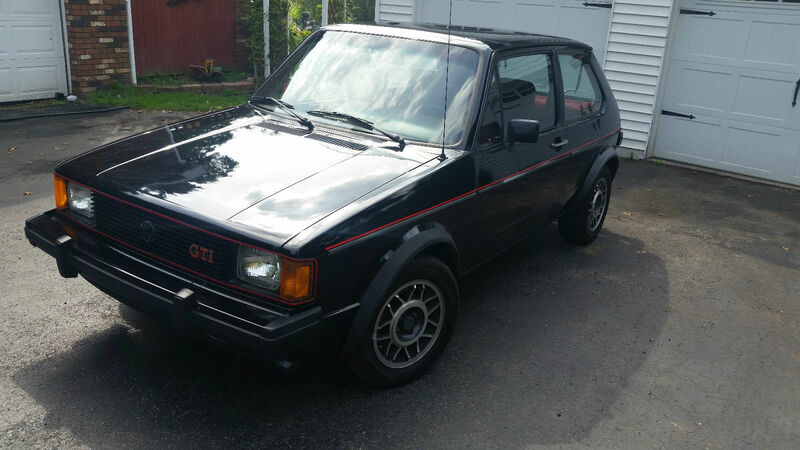 E-i-C Vince: I think that the answer here is to pickup something classic but driveable, like this 1984 Volkswagen Rabbit GTI here on eBay bidding for $4,600 with 4 days to go. You get to drive a legend every day and it likely be worth more 5-10 years later. What do you think PhiLOL should buy? Comments below. Or a rather sketchy BMW M3. And this might violate the safety rule, but it sure looks like fun. Oh man that Trans Am. Bonus points for being a Southern car. Bandit Edition. But in green? I was going to suggest an Alfa, but there doesn't seem to be any for sale in the entire state of Missouri (at least on CL). So how about this 1985 944 for a $6,500 ask? A 924S or 1985.5+ 944 would be at the top of my list if I could count on their reliability. From everything I have read, I cannot. 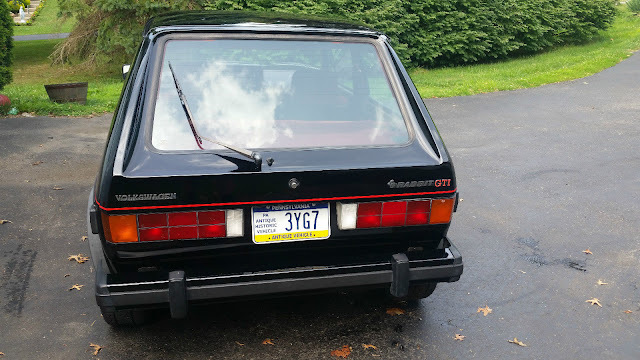 Throws Vince's GTI out as well (former '84 Rabbit GTI owner). Also meeting my criteria are early 986 Boxsters, going for NB Miata prices. At one point, there were some breaching $4,000 that needed "slight body work." Nothing a simple junkyard run can't fix, am I right? I'll sell you a pretty sweet Peugeot Mi16 for $900. And by sweet I mean somewhat rusty and straighpiped with no A/C. Not so sporty (yet) but you'd have a nice slush fund to call up IPD and start modding this '89 240 wagon (manual!). But this is nice too, '04 RX8 - won't see one of these everywhere and yo'u work out that bored self in no time. Or this - Manual, V8, convertible, and even a back seat, '03 Mustang GT. From DT's own 100 car birthday celebration, how about a SVT Focus? They're getting really really hard to find, but how about an unmodified S13 or S14 Nissan 240SX SE? Or by the same token, an unmodified 2nd gen Eclipse turbo AWD? Hold either for 5+ years and I predict you'll see some value appreciation. Oh my god. E39 540i six speed. Duh. American muscle, Fast & Furious-era imports, and a few gorgeous Europeans. The gang's all here, and not a bad apple in the whole bunch. I'm in good company here at DT. Any of these would bring joy back to my commute. RX-8s and New Edge Mustangs have been on my short list, along with 2G Eclipses and the 1999-2000 Civic Si which are both very difficult to find in good shape (or without a tan interior). John, I can't believe you found a stock S14. Nice work.